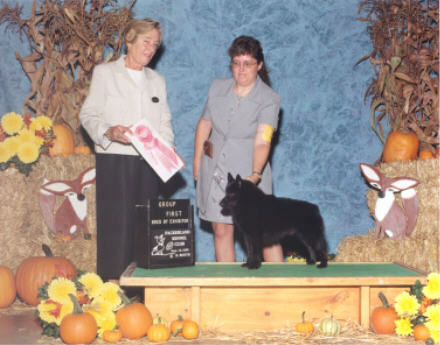 for 2 points to finish his Championship, and Best Bred By Exhibitor. Then he went on to get Best Bred By Exhibitor Non-sporting Group 1. Judge Mrs Dorothy O. Hutchinson picture above. Judge E.B. Jenner, pictured below. 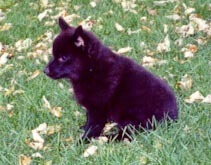 He is about 13 weeks old in the picture below. 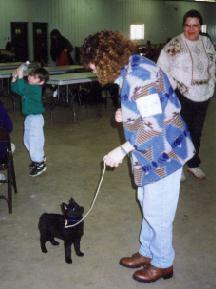 This was taken at the Marshfield Area Kennel Club Fun Match Feb.14, 1999. 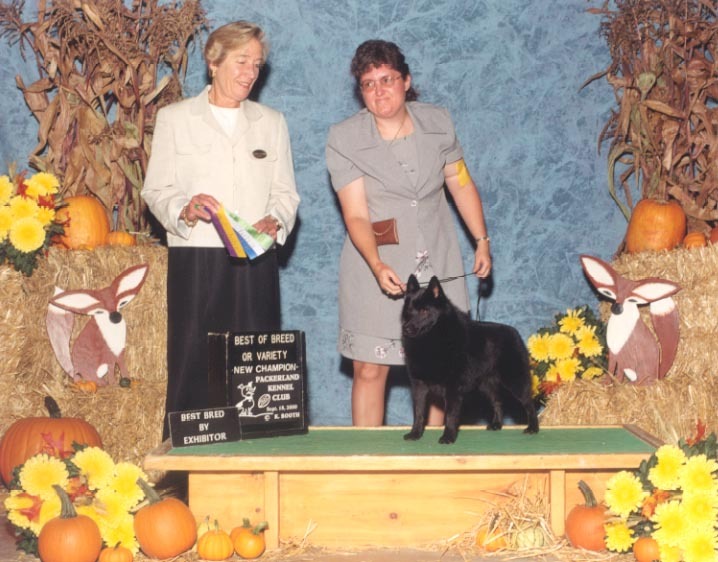 He is out of Am.Can.Ch.Ebonorth's Mystik Chariszma x Ch.Mystiks Dream Weaver CGC. The next two pictures he is 6 months old. 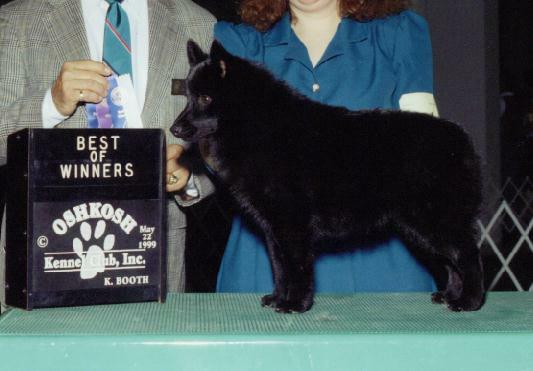 Remie got Winners Dog and Best of Winners for 2 points his first show at Oshkosh K.C. 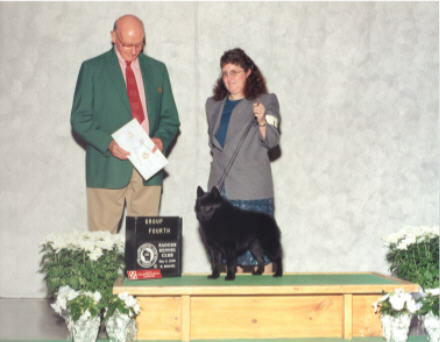 5/22/99 and Winners Dog 5/23/99 at Appleton for 1 point so he has 3 points from his first weekend showing. 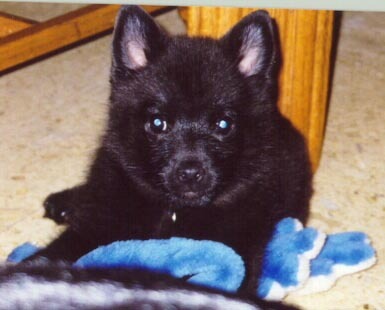 The two pictures above are Kody one of Remie's sons. 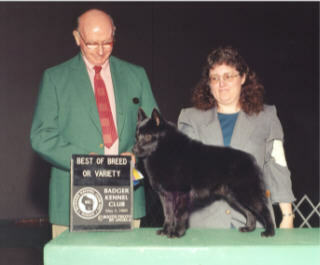 He is owned by Barb Koeppen & Bred by Pat Campbell.